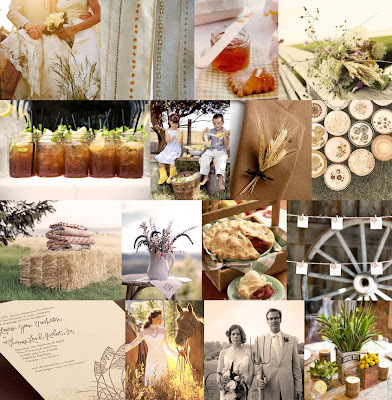 It's no big secret that I'm obsessed with Kathryn's Inspiration Boards over at Snippet & Ink, and I really love one of her most recent board that focuses on the sweet and relaxed rustic country wedding. This board reminds me of growing up in the country and those long summer nights running after fireflies, and the feeling of the cool dewy grass under your bare feet. It evokes memories childhood visits to our family farm in Indiana, and the flea markets and roadside fruit and pie stands my parents frequented in the summers. For me, this inspiration board not only hits home, but it really feels like home too. As the Labor Day weekend descends upon us, and many people make that last mad dash for the beach or wherever people disappear to during the summers, I thought I'd share some of my favorite weekend getaways that ease the pain after weeks and weeks of hard work. Not that I can complain, I'm lucky enough to really love what I do! 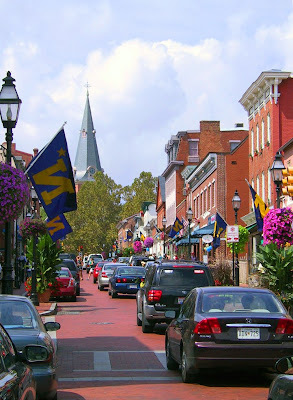 I'm a Maryland Girl at heart, and I love the relaxing towns on the Chesapeake Bay. 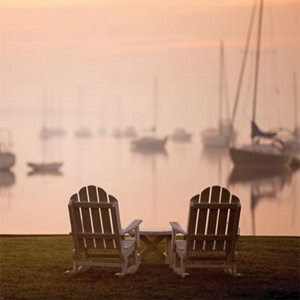 From Havre de Grace, North East, St. Michaels, Oxford, Cambridge, Annapolis, the list goes on... there's no place like the Bay for a weekend away! My pick for the perfect escape? The Inn at Perry Cabin cannot be beat! You might recognize it from Wedding Crashers! This was one of those weddings that you envy. Everyone was gorgeous, kind, funny and relaxed, and the event was flawless down to the 80 degree August Day and beautiful sun swept evening. 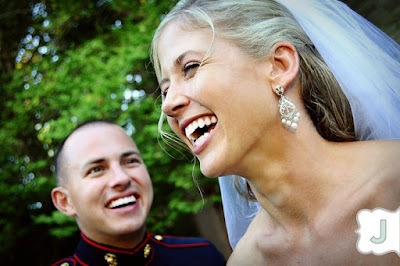 And Meghan and John were one of those happy, so-in-love couples that you couldn't NOT get great photos of them! There is so much I could say about this wonderful event, but I'd rather let the photo's speak for themselves! 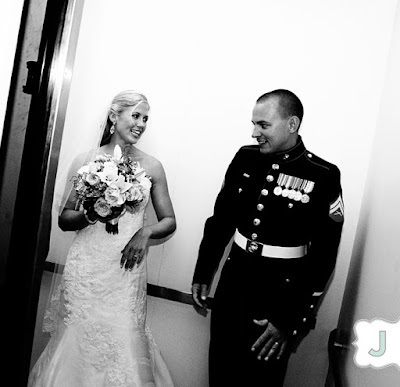 To check out the rest, visit Jubilee Photography and go to our featured gallery! with her Father..I love that they are both holding their chins! Too Cute! In the Elevator Just after saying "I Do" It was such a nice night out, and I love the lanterns, they made the lighting so soft and romantic! 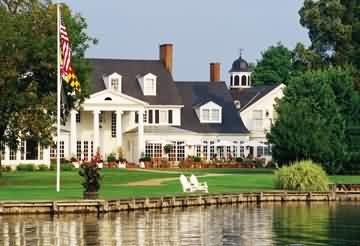 The food at the Greenville Country Club was Delicious! But I don't drink on the job! This past weekend I had the privilege of photographing the gorgeous wedding of Meghan and John, a really adorable couple who were the happiest, most relaxed couple I've seen in a while! 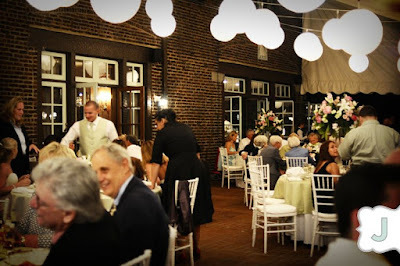 Here's a sneak peak of their romantic country wedding at the Greenville Country Club in Delaware from this past weekend! Stay tuned for more images from Jubilee later today! DIY Decor that's Cheap & Green! 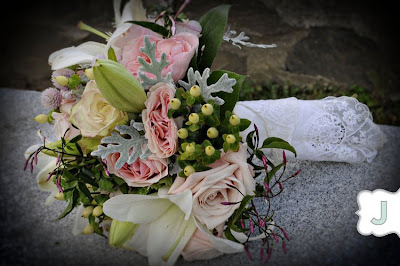 Looking for an alternative to expensive floral arrangements or want a more eco-friendly decor options? We love the idea of DIY flowers, decor and table settings that you can reuse long after your wedding! A really inexpensive and lovely alternative to cut flowers is potted plants and terrariums. At my wedding, we had pink garden roses in moss covered antique stone pots as the table decoration surrounded by candles. After the wedding was over, we gave the roses to our families to take home and plant, and they could reuse the pots! Not only was it pretty inexpensive (only about $15/potted rose bush! ), but it was a lovely gesture and those wedding day roses have planted roots in the gardens of our loved ones. You can check out your local garden shop or talk to your florist, use herbs, seasonal plants such as hyacinth, tulips, amaryllis, paper whites, poinsettia, fruit topiary or the always fashionable orchid, visit a site like Smith and Hawken or do it yourself! Another great DIY resource is Nettleton Hollow, or Decorative Branches, both specializing in branches and dried flowers and plant pods-perfect for the modernist, abstract or minimalist bride, and after the wedding, you can use the branches or dried flowers in your home! I'm also a HUGE fan Jamali Garden, which is where I bought countless DIY supplies for my own wedding. 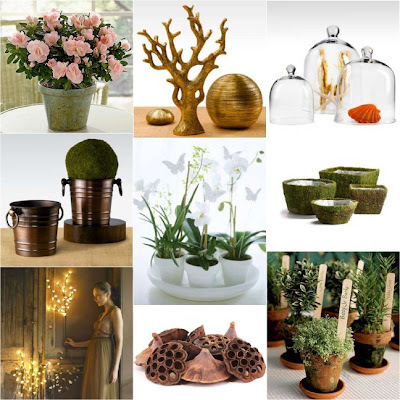 Jamali has really cool moss pots, modern vases, glass cloches, seashells, beautiful metal wares and so much more. Plus, what I love about these sites is that long after my wedding, they are still great resources for my home decor! Budget friendly AND recyclable? It doesn't get much better than that! From now until December 20th, we're running a special here at Milkmaid Press on our letterpress wedding invitations. Order a complete letterpress wedding suite of five or more pieces, and receive 10% off your total order and FREE shipping! You can pick from one of our existing designs, or you can have us design something completely bespoke! Either way, you'll get 10% off the total, and FREE SHIPPING. And don't forget, we're in Delaware, which means No Sales Tax, EVER! A Special thanks to our amazing blogger friends, Snippet & Ink, Elizabeth Anne, and Ritzy Bee for posting the news of our promo! 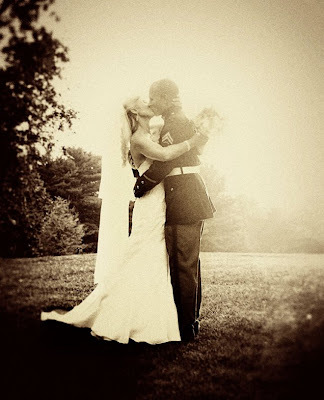 Interested in making your wedding a charity case? 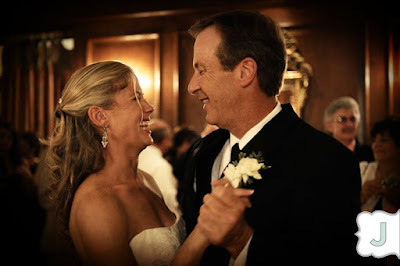 Many couples are opting to be do-gooder newlyweds and sharing the love by making donations to charities that touch their hearts, and we think that's a trend that should spread! 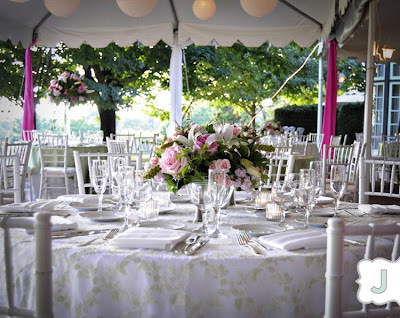 Whether you want to reach out globally or locally, there are numerous charities and organizations that would benefit from the joy and generosity of a wedding celebration! A bride I recently worked with opted to donate money in honor of her guests to various environmental causes. My husband and I have donated to numerous animal organizations since we are both die-hard animal lovers (we've rescued 3 pets, a dog, a cat and a turtle!). 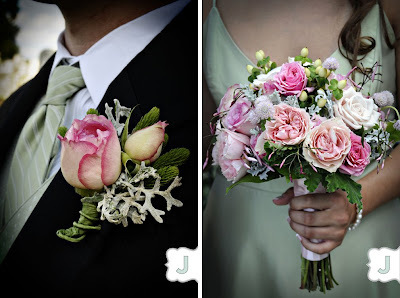 We love the idea of donating or gifting money to organizations that have a special significance to the bride and groom. 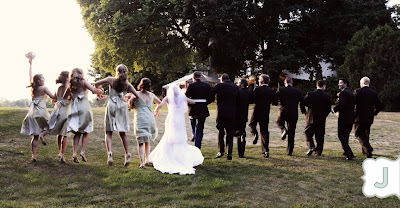 It's just one more way to feel even better on your wedding day by doing good for others! For more information and to peruse various charities, check out www.justgive.org! Etsy is such a wonderful resource for both the savvy shopper and independent seller. 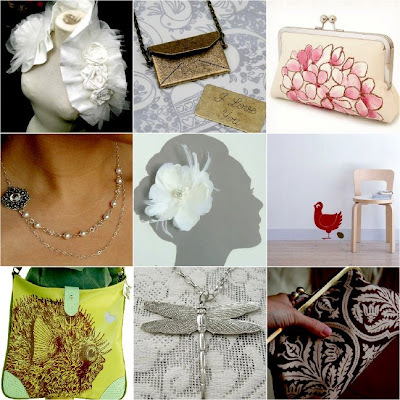 If you are planning a wedding or a major event, or even if you are looking for interesting and unusal finds for yourself, a friend or your home, etsy has just about anything you might need, and more things you want! Plus, you also feel good knowing that you're supporting a independent artist and that your coming away with hand-made or recycled wares that are often times one-of-a-kind! My husband bought me the Love Letter necklace since i'm a stationer, and it's one of my favorite pieces of jewelry!Here are some of my other favorites! We all want our wedding day to be our very own red-carpet moment, but most brides don't have Cartier or Harry Winston on speed dial ready to do us a special favor, and even fewer of us can afford to buy such grand baubles. That's why I love designers like Siman Tu, Ben Amun, Charles Winston, R.J. Graziano, Maria Elena and Debra Moreland. 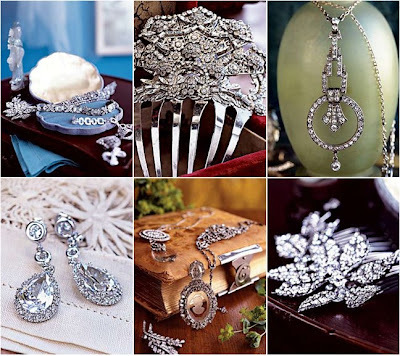 You can get the most amazing Crystal and Pearl Jewelry without spending a small fortune. For my wedding, I had a gorgeous pair of Siman Tu Crystal earrings and a Siman Tu Crystal Necklace, and I can still say it was one of my favorite little details from that day, and they only cost me about $400, TOTAL! In the world of wedding money, that's nothing, and in the world of good looking jewelry, that's REALLY not even a drop in the bucket! Just another way to save and still look fab for your wedding or special event! I'm currently on an organizational kick (See Jane Work post a few days back). It's really more mental than physical-I want to be organized, but every time I get that way, more stuff piles up on my desk with no place to go and I'm back where I started! So naturally, I turn to surfing the web for fun finds, odd goods and general daily distractions. My latest discovery in this modern day oddity shop quest is Pop Deluxe! This site is what you would get if Urban Outfitters and Uncommon Goods had a vintage cool lovechild, and every item description I would use is a mash up of hyphenated adjectives. They have funky-quirky-cool artsy wares for your home, pet, desk, person and whatever else you can think of! There is a lot on this site to sort through, but I found some things that would actually be pretty useful in my day to day struggle to stay organized. I really like their Saltbox Travel Wallets and Totes, their great selection of Knock Knock organizers, and the "I'm not a paper cup" cup and the tortuga lunch pail..I suppose these things won't really help me organize anything, but at least I'll look cooler in my pile of clutter! When I first stumbled upon Cox & Cox, a Britsh based online store specializing in unusual and quirky one-of-a-kind must-have items, I was enamored. They have such great products that you don't find anywhere else, that are perfect for the home, the crafter, the family, and of course, the bride! 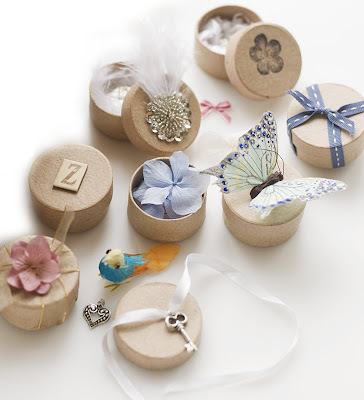 My favorites include the adorable little craft paper favor boxes, place card heart sparklers and the lovely crystal table clips. Cox & Cox is all about those little details! Ritzy Bee is one of my absolute favorite wedding blogs-i check in daily to see what the amazing Maria has for her readers! We are so honored that she has chosen to feature Milkmaid Press on her blog, along with some of our very own inspiration boards for the suites! If you haven't heard of Ritzy Bee, be sure to bookmark this buzz-worthy blog! Keeping organized is always daunting, whether you own your own business or businesses (that's us! ), run a household, or are getting married. See Jane Work is an online store dedicated to the stylish and sophisticated woman's office and everyday organization needs. 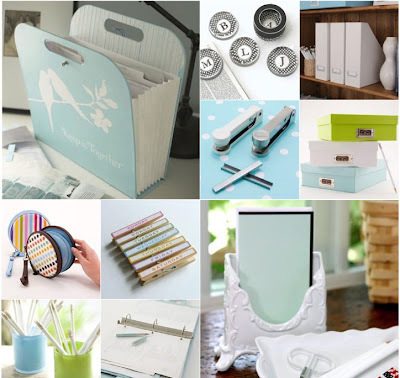 They have always been a favorite of mine for stylish and functional desktop storage in sassy coordinating colors and swanky file folders and the like, but brides will be thrilled to find that they also carry celebrity planner and all-around wedding guru Mindy Weiss acclaimed line of wedding wares! Our pick for must-have bridal organizer is the Keep It Together Accordion File. I live in the lovely Brandywine Valley, close to Philadelphia, and more importantly, near the home of Anthropologie! That's right, as many of you know, Anthropologie is based out of the Philadelphia area, and they have recently dipped their toes into the Landscaping and Garden world with Terrain. Terrain takes your typical landscaping/gardening store and makes it uniquely and indisputably cooler, younger, dreamier and sexier, full of what you'd expect to find in Anthropologies foray into the green scene. When you roll up to Terrain, you are greeted by rustic barns and shanty style greenhouses, and plants as far as the eye can see. In fact, I've never seen so many different varieties of plants and flowers, most of which have moravia tickets, so you get the feeling that Anthropologie is taking landscaping rather seriously. Walking around, you are keenly aware that this is an Anthro venture, with the rustic-modern patio furniture and one-of-a-kind antiques carefully and lazily strewn all over the grounds. It's effortlessly deliberate, as are most things Anthropologie. 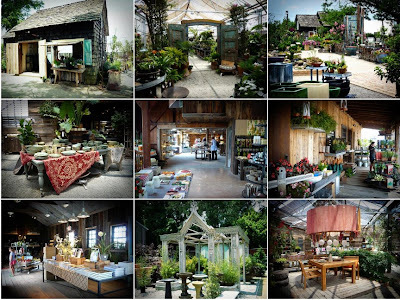 There are great little outposts for the cashiers and garden accessories, lush and lovely antique inspired greenhouses, and really cool home and garden finds you never knew you had to have. The Garden Cafe is a lovely oasis featuring easy and earthy foods, herbal and infused teas and spritzers and rejuvenative sweets to tempt your palette as you peruse the indoor shoppe. I've yet to eat in the garden terrace or the outdoor patio space, but the teas are delicious, albeit a tad skimpy in size for the lack of A/C throughout the compound! The cafe and home shop are inside a concrete, wood and tin roof barn-type structure, that is as zen as it is bucolic. There are spa and body products, gorgeous orchids and flowers, books, gifts, flower pots, door mats, dishes and glassware, pillows and lanterns, chandeliers and cards...there's so much to see it's overwhelming. Terrain is truly a landscaping destination and feast for the senses, and if you ever find yourself near Philly, skip down to the Brandywine Valley and check out Terrain. You'll be glad you did! Just go on a day that isn't 90 degrees!